American Association for the Advancement of Science's (AAAS) in California which was held on February 13 displays one of the quite phenomenal works, ie an eye contact lenses which supported with the zoom feature. 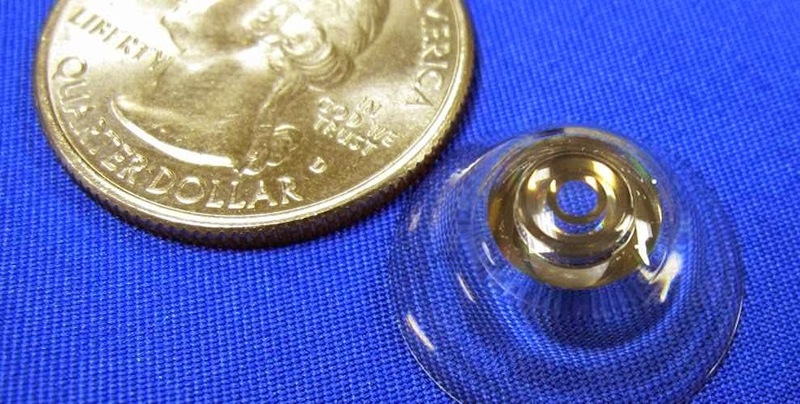 These lenses were initially meant for soldiers as a form of bionic vision. Actually, the contact lenses have been designed since 2013, but this time the lens has been upgraded. 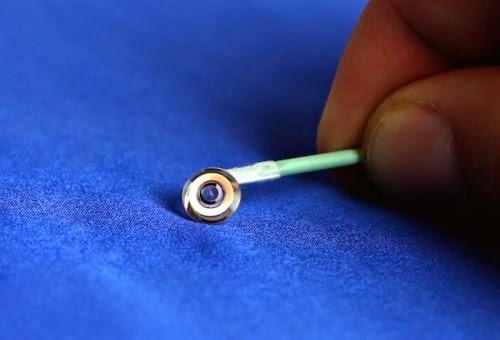 With the lens thickness of 1.55 mm, the telescopic lens is surrounded by an optical ring that can be activated only by winking and the lens then magnify the view of object up to 2.8 times. When light enters the center of the lens, the small mirror which is located around it will reflect light, and then enlarge the view like looking through binoculars. As reported by Techly, eye contact lens that is predicted able to help many millions of people who have the vision problems that can only work if applied with a special smart glasses. The users only simply wink their eyes to activate the lens. Right eye wink has a function to magnify the view and on the left eye's wink back to normal vision. Eric Tremblay of the École Polytechnique Fédérale lens de Lausanne in Switzerland is the contact lens creator said that the lens is very helpful people who have vision problems in the elderly.